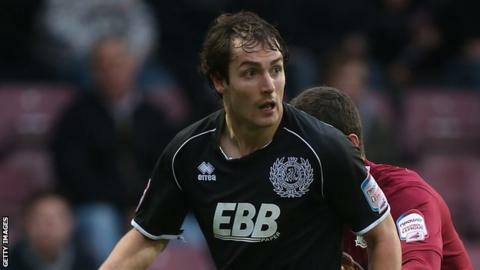 Aldershot Town striker Danny Hylton says the players are to blame for their current position in League Two. After a run of five league games without a win the Shots are second from bottom, one point from safety. The 23-year-old told BBC Surrey: "Every one of us, as players, need to start looking at ourselves and asking, 'are we doing enough in games?'. "At the minute you look around the squad - and this is not a personal hit - we are not doing enough as a team." He added: "We are second bottom after 31 games. The table doesn't lie, we are down there for a reason. "We are losing games and deservedly so. We need to stop talking about it and need to start pulling our fingers out." Aldershot have scored the least number of goals in League Two, having only found the net 28 times, and have won just three of their 15 home games this season. The EBB Stadium outfit's form in the league can be contrasted with their FA Cup run, which saw them reach the fourth round, losing 2-1 to Championship side Middlesbrough. Hylton, who is a product of the club's youth academy, says the squad has more potential than it is showing. "We are in League Two and we are not a bad League Two team," he continued. "Every week we say we shouldn't be down there. You go in that changing room and no-one is happy. "We can beat anyone on our day but at the minute I don't know if the belief is there from all of us. "They say that when you are down there the luck goes against you, but we are grown men. We need to pick ourselves up and sort ourselves out quickly." This week manager Dean Holdsworth said he trusted his players and that "they know what is expected of them". Hylton admits the playing squad have a responsibility to up their performances. "The gaffer [Holdsworth] has got a good squad and no-one can complain if every one of us is dropped for the next game," he said. "The gaffer has got our backs and will take the stick but we are grown men and we have played enough games. "It's not about him, it's not about the assistant or anyone else. It's about when we go over that white line, are we doing enough? It's ourselves and we need to get better and sort it out quickly."